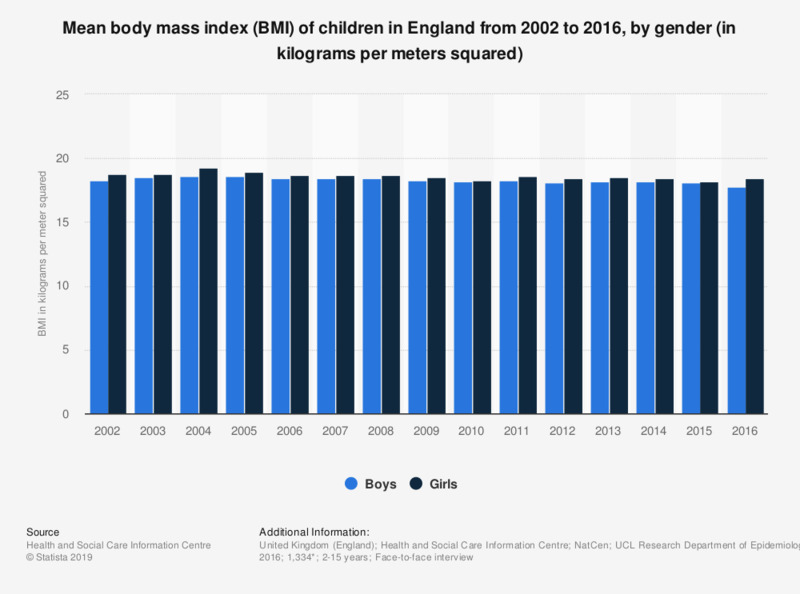 This statistic displays the mean body mass index of children in England from 2002 to 2016, by gender. In the year 2016, boys had a mean BMI of 17.8 kilograms per meter squared and girls had a mean BMI of 18.4 kilograms per meter squared. How satisfied are you personally with your health?